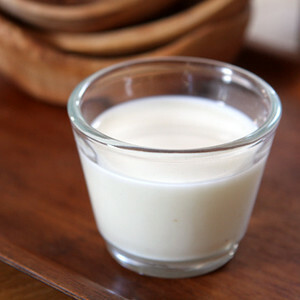 Half and half is an equal blend of whole milk and light cream that is between 10 and 12% butterfat. Half and half is best known as a coffee creamer, but it's a worthy tool all around the ktichen. Half and half is used to add richness to sauces, stews, dressings, and more without loading in fat and calories. Half and half is not a universal substitute, however; its fat content is too low to hold whipped peaks, so use caution when baking. Half and half can withstand more heat than milk meaning it's a great way to finish sauces and soups without curdling, so long as it's kept below a boil.